Do you really know who you are building for? Undertaking a design build project for a prospective tenant can be risky. Unlike leasing an existing property, design build projects entail more upfront risk for the owner and often rely on a longer term commitment from the tenant to make the project more successful. 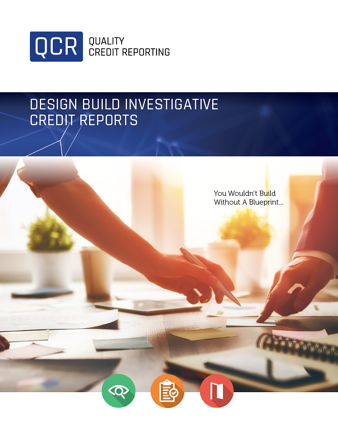 A Design Build Credit Report by Quality Credit Reporting goes above and beyond the basic credit report which only provides a snapshot of the potential tenant’s credit. The Design Build Report is comprehensive and confirms the potential tenant’s assets, liabilities and credit history. Design Build Credit Reports can be performed on an individual or company basis. In-depth reporting about Company or individual assets includes current information on real property, motor vehicles, bank account balances (cash on hand), investment accounts (RRSPs, GICs), marketable securities, other securities, and business interests. We go deeper in evaluating Land Titles to include sub-search to confirm a corporation's or individual's ownership in real property, purchase price and any outstanding mortgages. Our investigative reports not only look at current financial data on assests and liabilities, but also provide information about business affiliations, public documents, legal actions, media releases, and other historical information. Get the complete picture of a potential tenant so that you can make the right decision and minimize risk for your Design Build.